These highlights do not include all the information needed to use E-Z-HD safely and effectively. See full prescribing information for E-Z-HD. 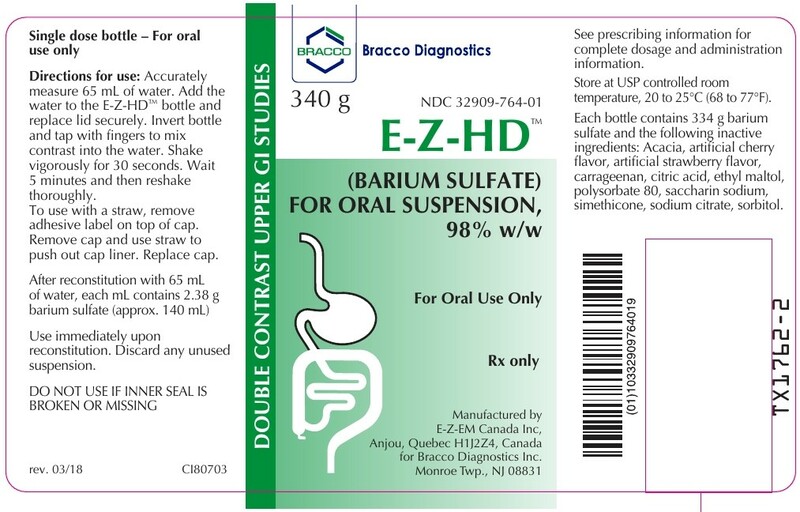 Orally administered barium sulfate may accumulate proximal to a constricting lesion of the colon, causing obstruction or impaction with development of baroliths (inspissated barium associated with feces) and may lead to abdominal pain, appendicitis, bowel obstruction, or rarely perforation. Patients with the following conditions are at higher risk for developing obstruction or baroliths: severe stenosis at any level of the GI tract, impaired GI motility, electrolyte imbalance, dehydration, on a low residue diet, taking medications that delay GI motility, constipation, pediatric patients with cystic fibrosis or Hirschsprung disease, and the elderly [see Use in Specific Populations (8.4, 8.5)]. 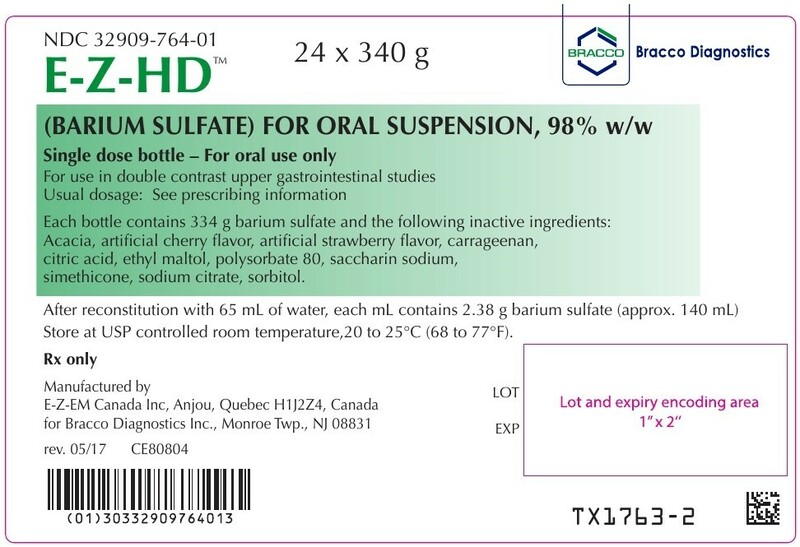 To reduce the risk of delayed GI transit and obstruction, patients should maintain adequate hydration during and in the days following a barium sulfate procedure. Consider the administration of laxatives. E-Z-HD contains sorbitol which may cause severe reactions if ingested by patients with hereditary fructose intolerance, such as: vomiting, hypoglycemia, jaundice, hemorrhage, hepatomegaly, hyperuricemia, and kidney failure. Before administration of E-Z-HD assess patients for a history of hereditary fructose intolerance and avoid use in these patients.